We have posted all the videos from the DeeCAP (Dundee Comics/Art/Performance) session at the Comics Unconference online. The Damon Herd video “What Are You Then?” features a brief intro on the concept of DeeCAP at the start. You can also find out more information on comics and performance at this post on Comics Forum. Thanks to Paddy Johnston, Andrew Godfrey, Kat Lombard-Cook, David Robertson and M. Contraband Esq., Punk Lawyer for taking part. Damon Herd – “What Are You Then?” from ticking boy on Vimeo. 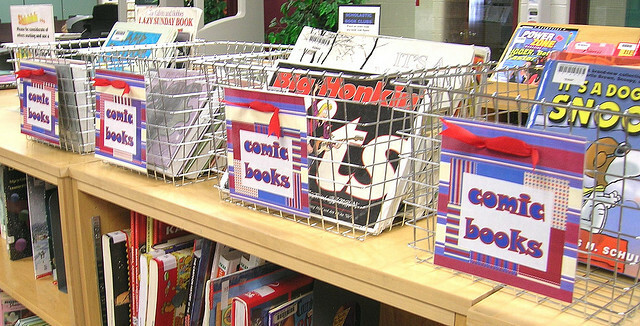 Andrew Godfrey – “The Hapless Adventures of Comics Studies Boy/Man” from ticking boy on Vimeo. Kat Lombard-Cook – “Once Upon A Time” from ticking boy on Vimeo. David Roberston – Fred Egg Comics from ticking boy on Vimeo. M. Contraband Esq., Punk Lawyer from ticking boy on Vimeo. Paddy Johnston – “Long Divisions” from ticking boy on Vimeo. We put together this wee video to give you a taster of the Comics Unconference in Glasgow last Saturday. We also filmed the DeeCAP sessions, look out for them online shortly. Scottish Comics Unconference Meet-up February 2015 from ticking boy on Vimeo. [If the Storify embed does not work well, please view it here]. There’s still a live interactive archive of the hashtag here. 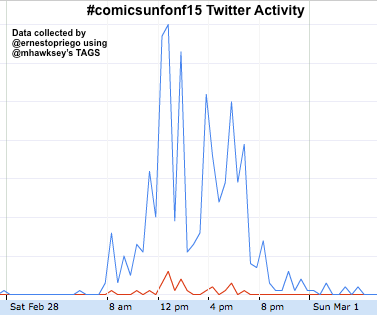 Find out more about how many #comicsunconf15 Tweets there were and how many of us tweeted using the hashtag in Ernesto’s post over at the Comics Grid blog. The Comics Unconference was a great success. Much of this was due to all the people who attended actively participating in the democratic decision making process for the discussion sessions, and then enthusiastically engaging with all these sessions. We will be posting updates, blog posts, drawings, photos and videos of the event soon but in the meantime we just want to say a huge thank you to all the attendees. Participants in the Scottish Comics Unconference Meet-up 2015 – we salute you! The day has come! Looking forward to meeting you all. If you couldn’t make it to the unconference we will make our best at documenting the proceedings. We will be tweeting using the hashtag #comicsunconf15. You don’t have to follow the hashtag “live”, we are archiving the tweets and you can follow and search the tweets tagged with #comicsunconf15 on our interactive archive, here. To find out more check out this short history on performing comics over at Comics Forum and ‘like’ the DeeCAP FB page to be kept up to date with events. 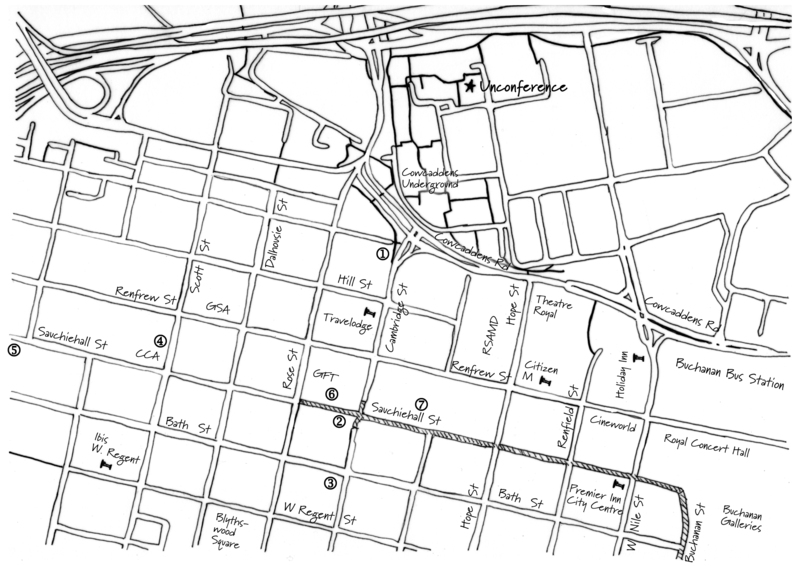 Here’s a map that focuses a bit closer on the location of the Unconference itself. Link to B&W copy to print. There are walking paths from Cowcaddens Underground to Dundasvale Residents’ Hall. If you are arriving by bus, there is a bus stop directly across Garscube Rd from the Underground stop. The 7, 7A, 60, 60A, 61, and 75 stop here. The 6 and 6A stop nearby on W Graham St as well. If you are arriving on foot, there are pedestrian paths off of Cambridge St that go under Cowcaddens Rd. and bring you to the underground station, where you can continue on to the Residents’ Hall. Walking paths are denoted by a thick, solid line. 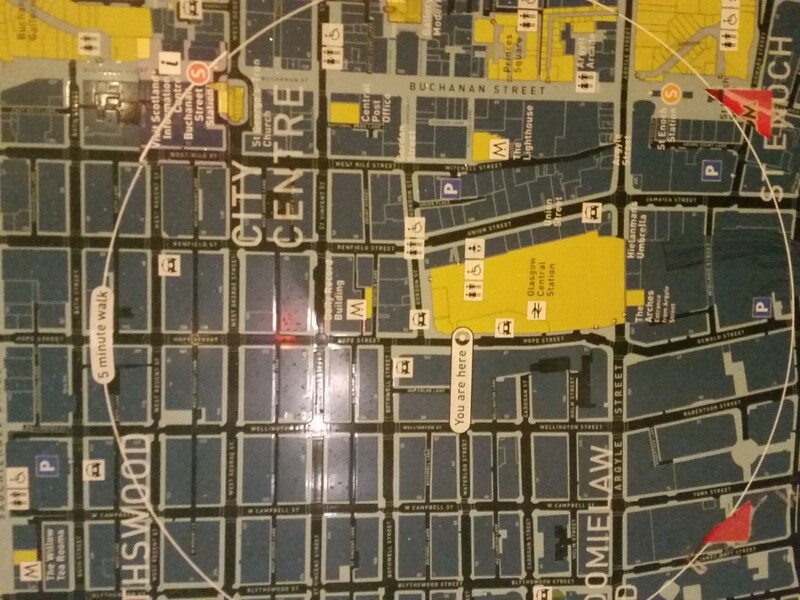 The nearest free cash machine is located outside either the Tesco Metro (6 on the map) or M&S (7 on the map). There is a charge cash machine outside of the Travelodge. There are many options along Sauchiehall St and Bath St so feel free to wander and try whatever takes your fancy. I pointed out some tried and tested places on the map as well. 1) The Wee Curry Shop—Part of the Mother India chain of Indian restaurants. Always tasty and a good bet for veggies and meat eaters alike. 2) Costa Coffee—There’s also a Starbucks at the corner of Sauchiehall St & West Nile St, if you prefer. If you like more artisanal coffee, Gordon St Coffee at Central Station is very good, as is Labritorio Espresso, tucked away on West Nile St between W Regent St and Bath St.
3) Butterfly and the Pig—Quirky and shabby chic restaurant with a sense of whimsy. The menu changes often but is always good. Good place if you’ve got a gluten-intolerance as well. 4) CCA/Saramango—The Centre for Contemporary Arts hosts exhibitions, films, and performances. It also has a bookshop, a lovely cafe/bar downstairs and full bar upstairs. Definitely worth a peek. The bar and cafe/bar are run by the folks who own Mono, Stereo, the 78 & the Flying Duck (bar), so definitely vegetarian & vegan friendly! I can also recommend all of those places, along with the 13th Note for good veggie and vegan fare. 5) Further down Sauchiehall St you’ll find the usual Wetherspoon’s pub (cheap & cheerful! ), a Pizza Express (good for GF), and Glasgow institution Nice ‘n’ Sleazy’s. Not even a fire can keep this place down. Loud music and good burgers are staples here.